Angel Gabriel receives a special assignment and is dispatched to the town of Angel Falls. The town has lost its Christmas spirit and Gabby is charged with the task of helping the residents recapture it. Along the way, she befriends Jack Avery, the Volunteer Fire Chief, who’s initially skeptical about her plan to revive the local Yuletide cheer. Determined, Gabby takes a job at the local church as the volunteer coordinator and sets about her business of recruiting residents to get the town’s holiday back on track. In the process of bringing back beloved Angel Falls Christmas traditions, Gabby has a surprising revelation about herself and her own dreams that set her down an unexpected path. What is the name of the instrumental music that played while townspeople were looking at Angel Falls web site and that Gabby and Jack danced to? Was this filmed in Niagara On The Lake Ontario Canada? Want to know where I can buy the white dress with 1/2 zip front with pleattes❤️❤️❤️ Love the dress and coat!! Yes, please share if you can where this winter white dress with exposed zipper and pleats is available. It is so beautiful! Where can I buy winter white coat Rachel Boston wore in the beginning of Christmas in Angel Falls? And the red dress at the end of the movie? I agree, I have been looking for the full cast and cannot find it anywhere. Hi Lou, we have updated the cast details … Rachel Boston, Beau Bridges, Bayley Corman, Paul Greene, Hattie Kragten, and Michael James Regan. You are still missing a lot of principal charactor. Pastor and his assistant to name two. 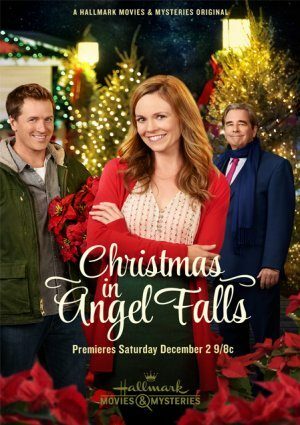 Who played Gloria in “Christmas in Angel Falls”? Gloria is played by Allison Hossack. I love the white dress worn in the beginning of the movie. can you help me find it please? I hope you can help, I love it. Why isn’t the full cast listed? Only the three principles are listed.